The world of mobile dating apps is ever-changing, and it’s no wonder than a huge market like India is not far behind in this segment. 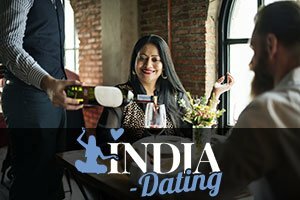 Single ladies and gents all over India are crazy about several mobile dating apps that allow them to meet people they would otherwise never cross paths with, and go on dates as often as they like. Today we present the top 3 mobile dating apps in India and break them down to see why they are so popular. Given that Tinder is likely the most used mobile dating app in the entire world, it’s no wonder it’s extremely popular in India as well. Tinder provides a fun mobile dating experience that few other apps can match. In addition to showing the name, age and photo of a potential date, you can ‘Superlike’ people on Tinder and set up dates like never before. You have to have a Facebook account to access Tinder, and just like Facebook, Tinder is a free app. It shows the users mutual friends that they have on Facebook with a potential date, which is pretty neat as it can narrow down the pool of candidates. It is so widespread that the members of the Tinder community can literally chat with people from all over the country. The more you personalize your dating experience the more fun you’ll have with Tinder. You can search for matches based on their location or you can choose to chat only with the people you like on the app. TrulyMadly is another extremely popular mobile dating app in India that offers a funky experience thanks to a bunch of games it has to help its users find potential matches, including ‘Foodie Funda’, ‘Hocus Pocus’and ‘Styletastic’. Logging into TrulyMadly is similar to Tinder as you can use your Facebook account, or if you’re not a fan of this social network go with your email username instead. One peculiar thing about TrulyMadly is that it doesn’t let you start using the app until you have a verification score of 30. The medium with which you log in affects your verification score, and only Facebook and your photo ID give you the number of points you need to use the app. Pretty cool for the users who value their security on online dating sites. Thanks to TrulyMadly, the users can find plenty of Indians with verified profiles, as opposed to a bunch of foreigners vacationing in India, which is the case with some other mobile dating apps. The users also agree that the Q&A game is awesome to analyze potential match’s compatibility. Woo is another very popular mobile dating app that is used by millions all over the country. Unlike some of the other apps, it’s less hostile in terms of rejections. You don’t necessarily have to reject someone you don’t like, but can easily move on to the next user by swiping right on your screen. Woo is a dating app that is full of personalized questions that make the search easier and more thorough, from ‘What does success mean to you?‘ to ‘Which are the best trip you have ever taken’. You can also add your own questions that best describe you and the qualities that you’re looking for in a match. Very serious about the safety of its users, Woo doesn’t display the full names of girls but only their initials. Anyone concerned with privacy on the internet will also enjoy this feature to no end.